Service on your schedule-We always schedule cleaning services at times that will be minimally invasive for you and your customers, and we show up when we say we will. And once we’re on site, we work quickly and accurately, so that your business, school, or church can get back to business as usual. 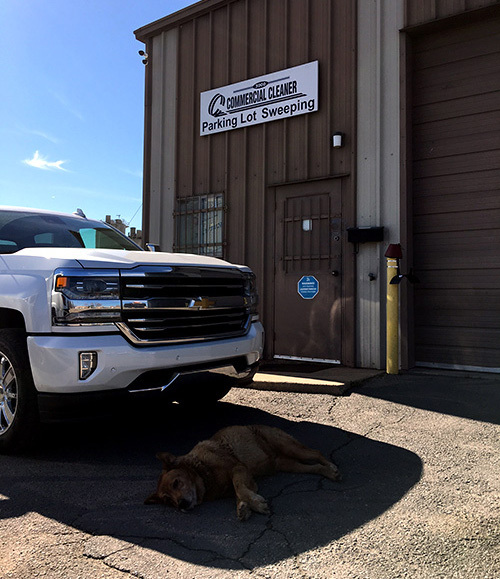 State-of-the art equipment-Our fleet of sweeper trucks are equipped with onboard GPS navigation, so you’ll never have to worry about us “missing a spot.” Our trucks are regularly serviced and maintained, and, most importantly, they’re operated by the most talented and experienced drivers in the business. Emergency service-Whether you need extra cleanup after a special event or a big storm, you can count on our telephone being answered day or night. We’ll be there in a flash, and it will seem as though nothing ever happened! As a business owner, you have many things to worry about each day. The good news is that when you partner with us, the cleanliness of your parking area won’t be one of them! If you have any questions, or would like to schedule a free, no-obligation service consultation, contact us online, or at 501-945-3219.